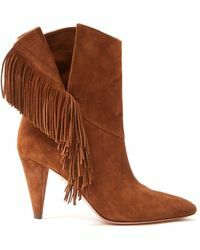 A luxury, high-end shoe brand founded by Colombian-born designer Edgardo Osorio, Aquazzura effortlessly combines quintessential, Italian-crafted glamour with modern design and luxury manufacturing techniques. 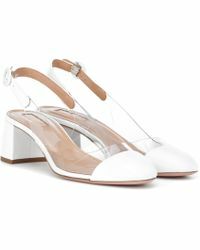 Osorio learned his trade at the London College of Fashion and Central Saint Martins, before earning his stripes working at Salvatore Ferragamo and Roberto Cavalli and then launching his own range in 2011. 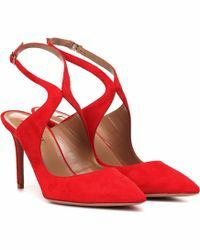 Based, according to Aquazzura, on the three influences of European aesthetic, American sensibility and Latin flair, the label makes shoes to be seen in and unconditionally admired.